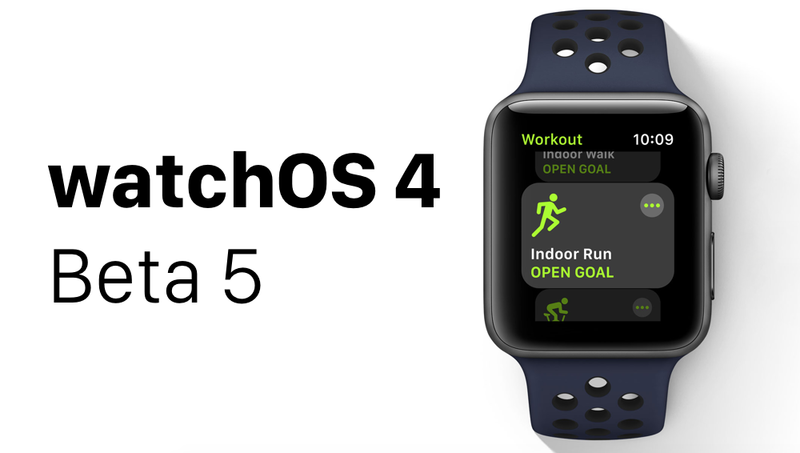 Developers can now download watchOS 4 Beta 5 on their Apple Watch right away. We’ll show you how. For fitness enthusiast, watchOS 4 is a huge update. But for normals, it’s a giant leap too. Instead of just throwing in a couple of new (obvious) features, Apple went ahead and saw the wrist to be a fit place for Siri. So apart from the regular watch faces, we get one focused on Siri. So at a moment’s notice you get to see what Siri has to suggest, so you stay at top of your day to day game no matter what. The aforementioned update will become available for everyone later this year. For now, we have to settle on the beta version of the software, nothing more, nothing less. Also, keep in mind one thing, this beta is meant for developers only. There’s no public beta available for watchOS 4, and once you do update, there’s no way you can downgrade back to watchOS 3. For more information on downgrading, it’s best you check out our post here. Please be very, very considerate if you are looking to just try out watchOS 4 Beta. Once you get onboard the pre-release bandwagon, the only way off it is by installing the subsequent releases that will get you back on the public release. Installing watchOS 4 Beta 5 is easy, and everything happens over the air. Follow the steps below and you’ll be on Beta 5 in no time. 1. Place your Apple Watch on its magnetic charger. 2. On your iPhone, navigate to Watch > General > Software Update. 3. Once you see the latest update, tap on Download and Install. If you are looking to install watchOS 4 Beta 5 for the first time, then you can find the necessary details on it here: Download watchOS 4 Beta – How to Install on Apple Watch. And again, I can’t stress on this enough that you should think through at least a few times before making your big move to install watchOS 4 Beta. If something goes wrong during usage, the only fix you have with you is a plain old hard reset (over and over again). The option for downgrading is off the table completely. The new watchOS 4 Beta 5 update is no more than a bug fix and performance enhancing release. But if Apple managed to slip in a surprise, we will highlight it for sure.